On why he joined the party, Sinha said the Congress is the party that brought us kicking and dragging into free India. 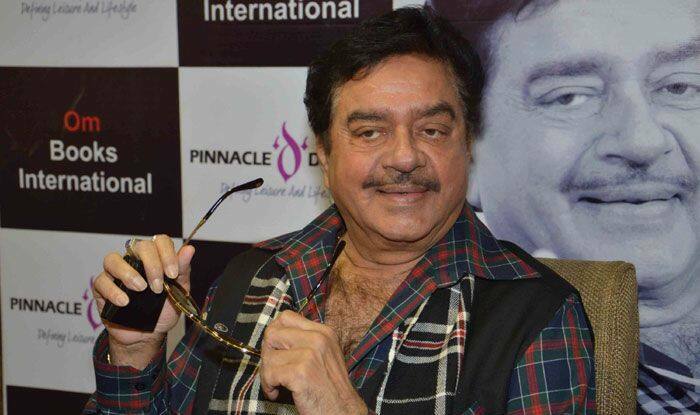 Bollywood actor-turned-politician Shatrughan Sinha, who has finally quit the BJP, feels that the Congress is the political future of India. In a Q&A session, Sinha answered some questions on why he left the BJP and joined the Congress. Q: So you have finally done what we knew for some time? A: (laughs heartily) Raaz ki baat jo sab jaante the. Open Secret. Yes, I have joined hands with Soniaji, Rahul and Priyanka. I am now a part of the Congress. Q: That was in the past. Where are the leaders of that stature in the Congress now? A: Well, we could give the same argument for the BJP. I joined hands with them (BJP) because of the great leaders like LK Advaniji and Atal Bihariji. Leadership has to change. Today the Congress is in the hands of Rahul Gandhi. Q: He was trolled mercilessly until very recently? A: But Rahul has evolved in the past year or so. He is no longer ridiculed. Besides his sister Priyanka has also joined hands with Rahul. We have to give him a chance. I was happy when he spoke to me and said he is very happy to welcome me to the party. Q: Yes, you and Urmila Matondkar? A: The more the merrier. I think the Congress is the political future of India. It saw India through its toughest times. It’s time to give them another chance. Q: So what prompted you to make the move from BJP to Congress? A: Many factors. I was not being treated properly by the BJP. When they announced Ravi Shankar Prasadji as their candidate from my seat in Patna, something gave way inside me. I ceased being a loyal soldier of the BJP. Not that I intend to badmouth anyone from the BJP. I respect the senior leaders. They are my colleagues and friends and I am not into the politics of mudslinging. I hope they feel the same. Q: Your daughter Sonakshi feels you should have left the BJP long ago? A: (laughs) Achcha. When did she say that? How sweet of her! I am in Muscat where they’re honouring me as a cinematic legend. My family has been advising me to do the right thing in my political career. And not just they. My dear family friend Lalu Yadavji also wanted me to join hands with the Congress. Q: Do you think the Congress will accord you the respect you deserve? A: I feel welcomed here. As you know, I was unhappy with my position in the BJP for a long time. The party leadership knew I was unhappy. No one came forward to speak to me. There was no dialogue at all. It was as if they had shut me out. I didn’t have to suffer this humiliation. But I stayed on out of loyalty. But now I feel it’s time to move on. Q: What are your plans as a Congress member? A: To serve the country and to end the culture of intolerance that has taken over the nation. If you criticize a government policy, you are not anti-India. If you say Kashmir is burning, you are not pro-Pakistan.